It is known to all that SMS plays an important and essential part in communicating with people, and sending and receiving text messages are two common things for Android users in their daily life and work. You have stored many text messages, interesting ones, crucial ones and private ones in your Android phone. However, some of the important messages will be lost, due to various reasons. And it is really a big pity if you can never find them again. Don't worry. Now, I just want to recommend you with the Broken Android Data Extraction, which is a professional Android data rescuer to help you find out the deleted data from your broken Android and recover them back without any quality loss. 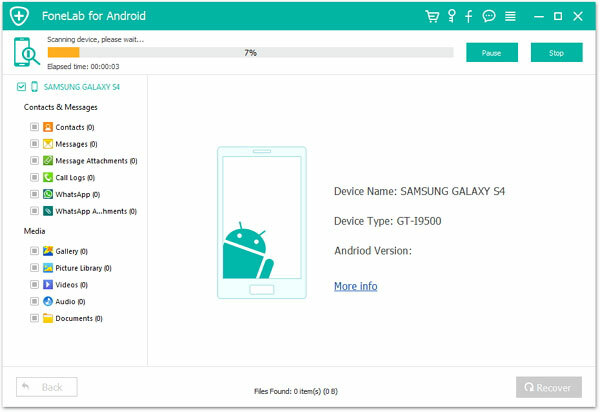 It selectively recover lost photos, videos, contacts, text messages, apps, call logs and music from your dead or broken Android device, such as Samsung, HTC, LG, Motorola, Sony, Motorola, Huawei, ZTE and so forth. How to Recover Text Messages from Broken Android Phone? Step 1. Connect your broken Android to computer via USB cable. 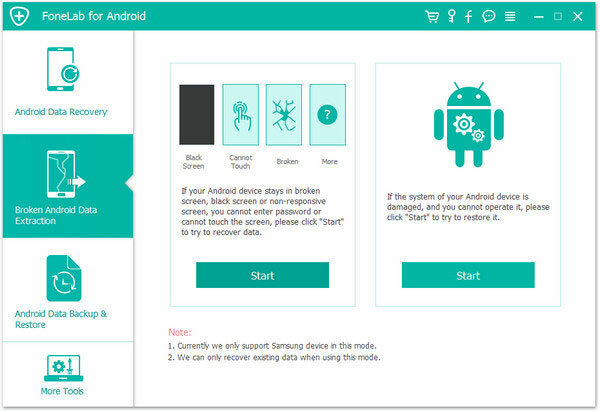 Install and launch the Broken Android Data Recovery. 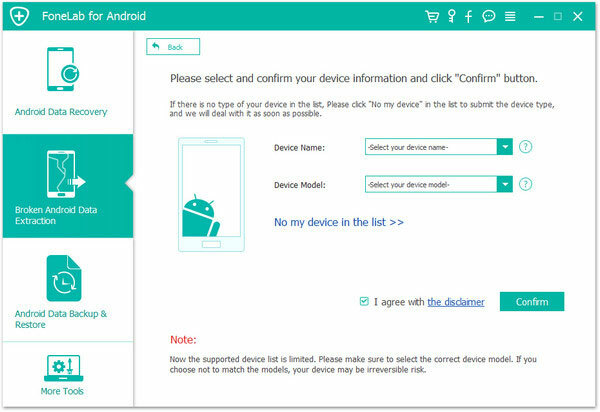 The program will detect the connected Android phone instantly and then you should click "Broken Android Phone Data Extraction" to begin. Step 3. 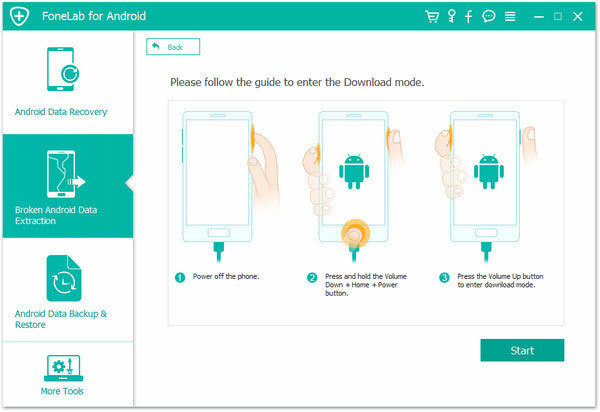 Then, follow the step by step guide on the interface to put your Android phone to download mode. After that, click "Start" button to fix your phone. Step 4. After your Android phone is fixed successfully, the program will scan your phone and show all the recoverable file types from the left sidebar. Just mark the "Messages" category and click "Recover" to recover the text messages from your dead or broken Android phone to computer. The operations are simple and efficient, aren't they? Just give it a try to rescue more data on your broken Android.